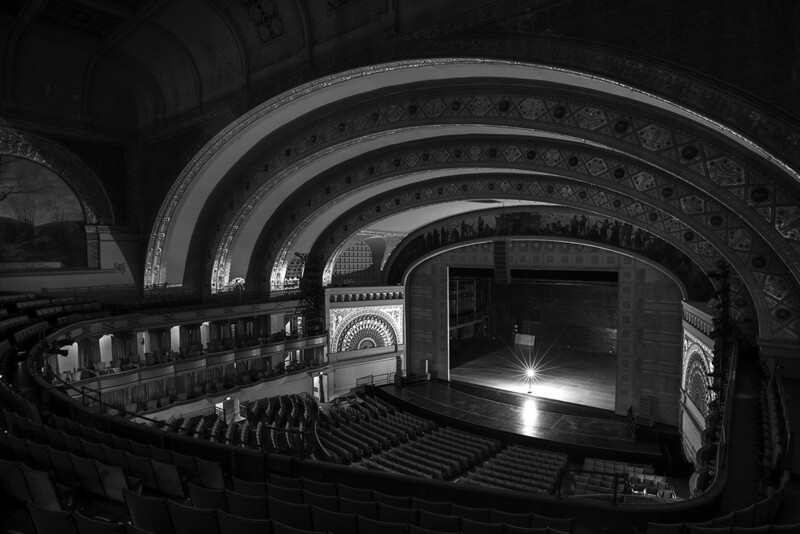 Auditorium Theater. Joffrey Ballet completed a run of Anna Karenina the night before, so the sprung deck is still on the stage. 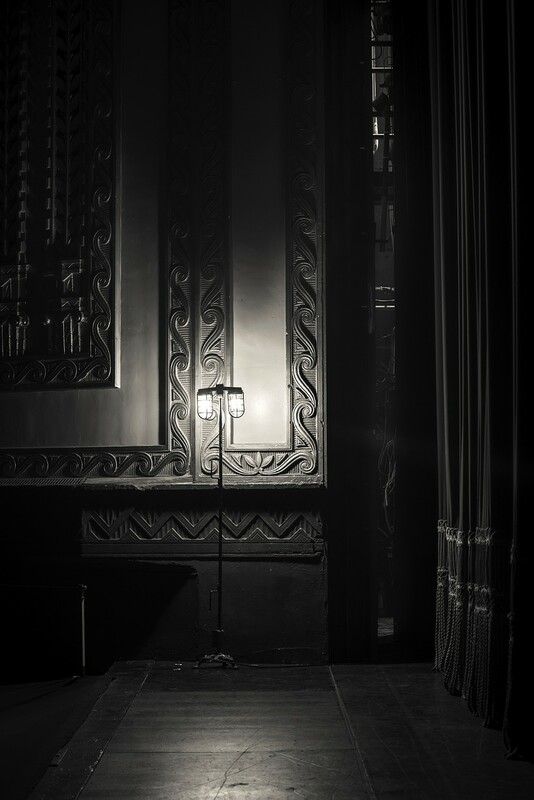 Whether they're holding the paranormal at bay or preventing a misstep into the orchestra pit, ghost lights have been keeping Chicago stages safe for more than a century. 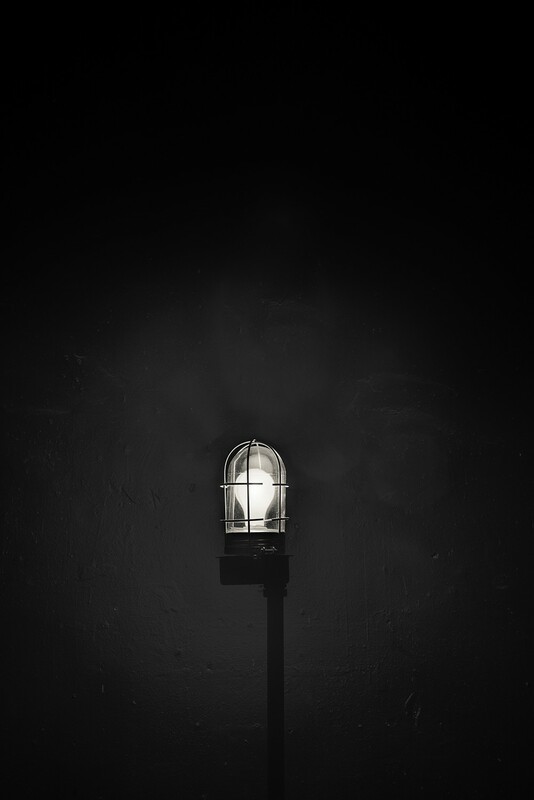 Traditionally a single light bulb fitted in a cage atop a tall stand, the ghost light is a fixture placed on stage just before the theater goes dark and acts as bare-bones illumination. And, just in case, to keep spirit mischief to a minimum. Some tempt fate. Arriving at The Yard at Chicago Shakespeare to co-direct a production of Macbeth last year, Teller—half of the magician duo Penn and Teller and known for his character's silence—strolled into the theater and announced to all, "Let's get this over with: Macbeth Macbeth Macbeth Macbeth Macbeth." 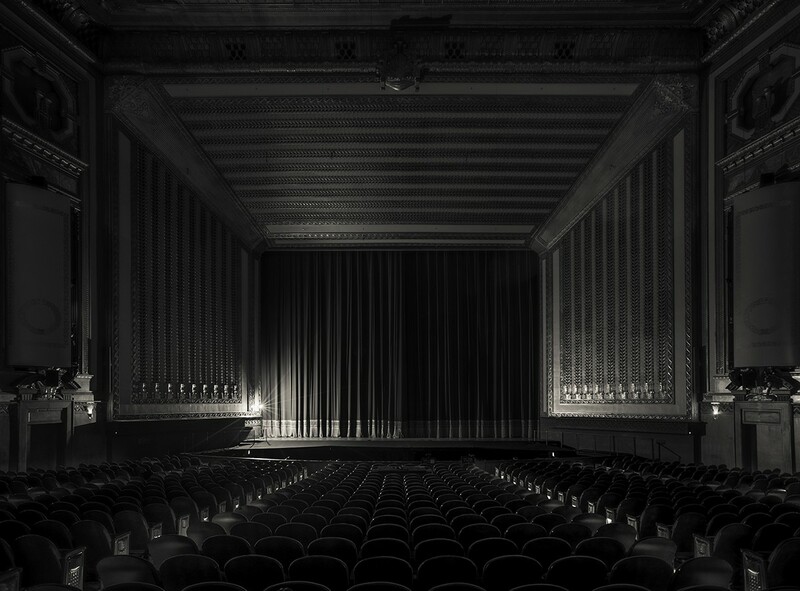 To utter the name even once could, as an old theater superstition goes, tempt catastrophe. Gift Theater. 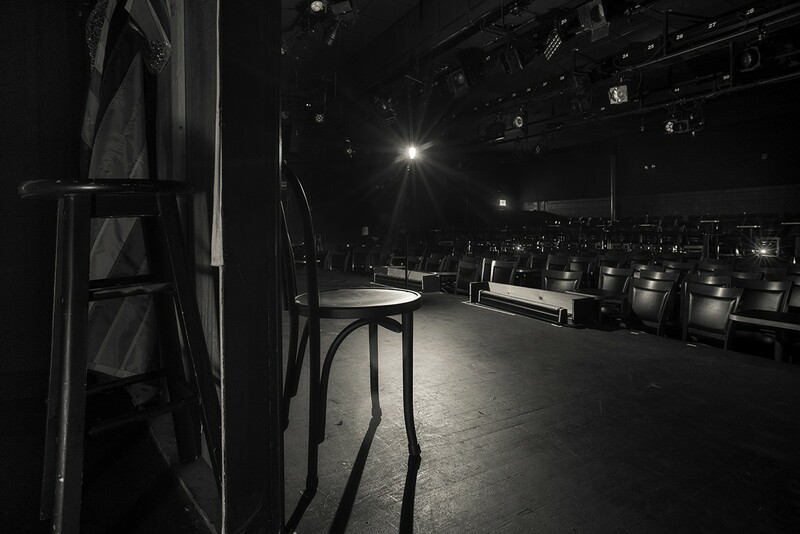 Gift theater is currently performing Doubt: a Parable at Steppenwolf Theatre and is using its 50-seat storefront space in support of that production. Lyric Opera of Chicago, Ardis Kranik Theater. That day, the set for La traviata was being struck so that the set for Ariodante could take its place for a main stage rehearsal. The current productions were Verdi's La traviata and Strauss’s Elektra, with Ariodante opening on 3/2/2019. Chicago Shakespeare Theater, Jentes Family Courtyard Theater. The set is for Short Shakespeare! 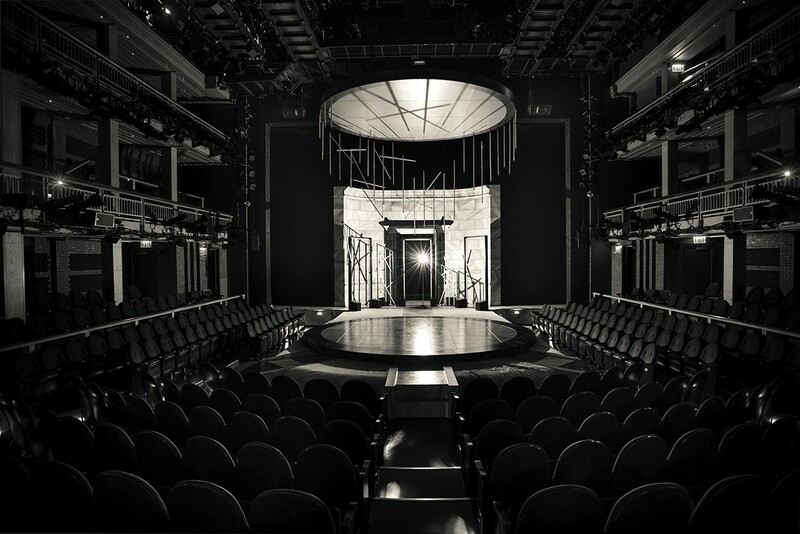 Macbeth, scenic designer Scott Davis. 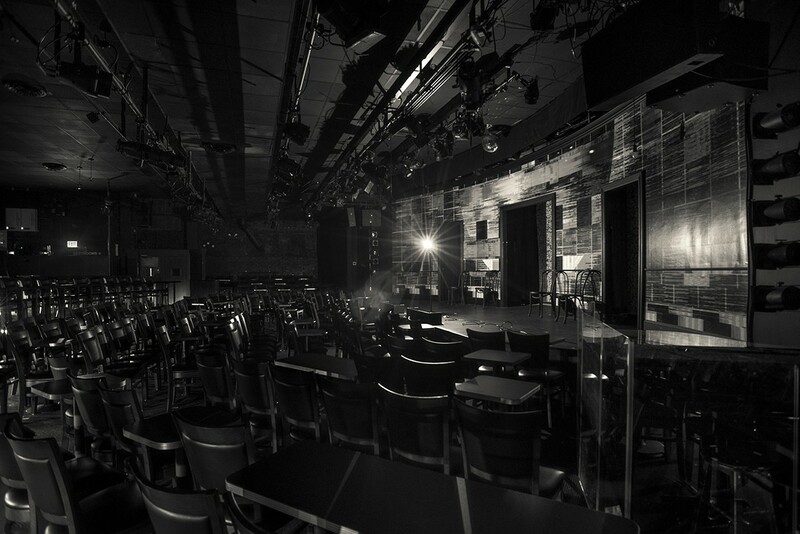 Second City Main Stage. Current production: Algorithm Nation or the Static Quo. Writers Theater, Alexandra C. and John D. Nichols Theatre, Glencoe. Set: Ma Rainey's Black Bottom, scenic designer Todd Rosenthal. 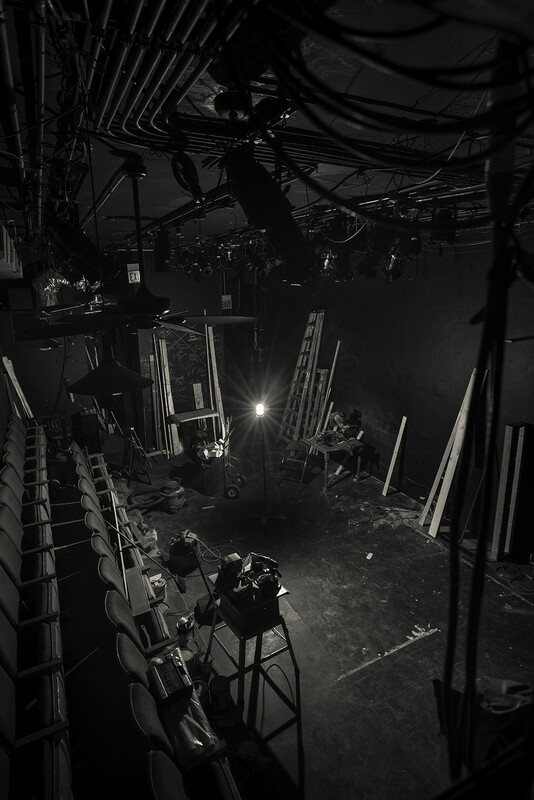 A newer theater, Writers has its ghost light installed in the grid overhead. 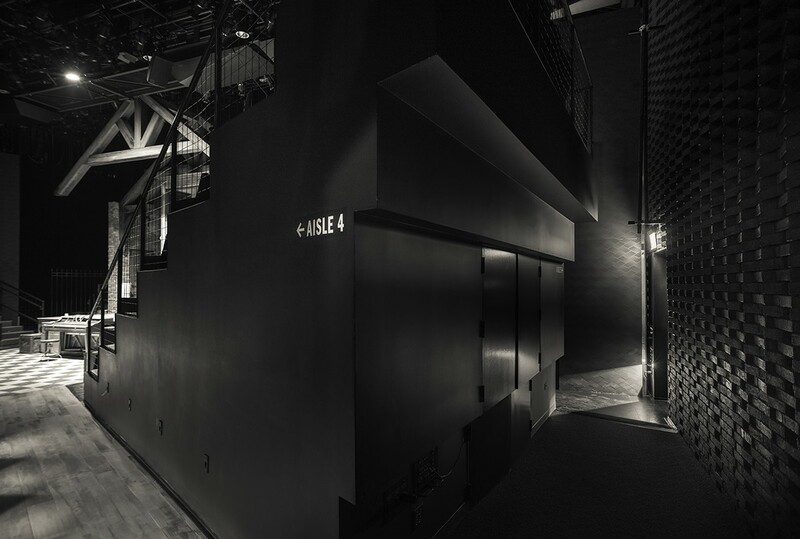 Architect Jeannie Gang salvaged bricks from the abandoned building that was demolished to make way for the theater, using them in the textured interior walls. Ladies and gentlemen, boys and girls, step right up to the magical, the thrilling, the Chicago-style circus! Midnight Circus and Aloft Circus Arts have created their own intimate version of the big top in the city’s lofts and churches. A “Dream House” designed by Frank Lloyd Wright also makes the trip to Wisconsin unforgettable.